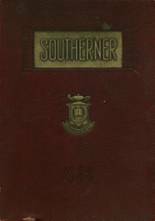 Listings of high school yearbooks for Southern HS can be found below. You will find former students who are seeking yearbooks, those looking to sell a yearbook and general yearbook requests among the Southern High yearbook listings. This yearbook section was created to help alumni post yearbook classifieds. If you are a Southern alumn, we encourage you to register and be sure to sign up for the alumni newsletter. I am looking for Southern High school yearbooks for years 1995 through 1998.
i am trying to find my yearbook. it was 1967 or 68, not sure, the name would be linda hammons. I am looking for a 1988 yearbook to purchase. Yearbook Request by Bryan Dixon Sr.
Lost my year book when grandmother past away. 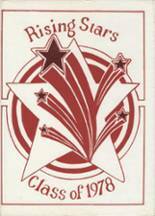 I am looking for the above years yearbook to began planning of our 40th year reunion in 2017. I would like to start with the yearbook but will also be looking for committee members to assist with such a grand event. I was hoping to find someone who may know how i may find a copy of this yearbook. 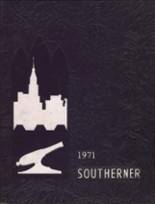 Can I please get some information on how to get a Southern High School Yearbook from 1976? You can either send me an e-mail or give me a call on my cell phone. I graduated from Southern High in 1975.. I am the niece of Joe Barnes, class of 1968, who is deceased. I have his class year book & have reached out 2X to the one requestor but have not gotten a response. Please email me *****@verizon.net if you would like the 1968 yearbook. I do not want it to go to waste. This yearbook is no longer available. It is has been provided to Mrs. Harris. i am looking for a 1968 yearbook. it would have linda hammons in it. would appreciate this very much. 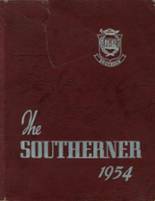 1967 yearbook from southern high school balti. md. I'm DESPERATELY looking for a June, 1964, Old Southern High School, Baltimore, Maryland, Year Book. If you have one, or know of ANYONE who has one, I would love to purchase it, or at least have a copy of it made. Please, it is very important that you contact me at the addresses and/or numbers below A.S.A.P. I sure miss that old school and all of the teachers. But Most Of All...I Miss All Of You, Who I Attended Southern High School With way back then! God Bless everyone of you. You are thought about often. February 1963 Graduate of Old Southern High School. Baltimore Maryland. LAST OF THE FEBRUARY GRADUATES. I have a 1963 yearbook contact me. Trying to locate someone who has the 1952 yearbook and can tell me if Patricia Donnelly is there. 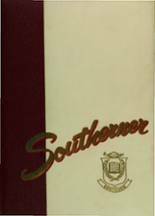 Hi, I am looking for the 1950 Yearbook for Southern High School that was in/near Federal Hill, MD. I am looking for my grandmother who told me she would love to get a copy of it. She didn't actually graduate from the school because she moved the year before senior year. I would love if someone had one that I could just simply copy. The yearbook from 1948 would also be helpful. I am Rose's daughter. She passed away in 2013. I found her 1940 and 1942 Southern yearbooks. She loved her high school years and friends. She has a photo from the 1956 reunion, and a program from the 1992 50th reunion. I am offering both yearbooks if anyone needs them for historical purposes. I know she would be happy if someone else was interested in having them.